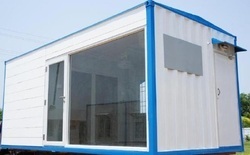 Offering you a complete choice of products which include puff insulated office container, office containers, prefab office container, modular container, ms container and dismantable container. 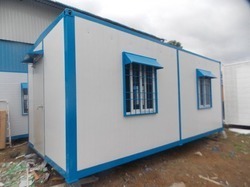 To fulfill the diverse requirements of our valued clients, we are offering a classy range of EPS Insulated Office Container. This container is delicately designed at par with the international standards by skilled personnel using the finest grade material. Our entire range is specially designed to suit artistic tastes of our noteworthy clients and can be subjected to flexible customization as per special client-specific requirements. 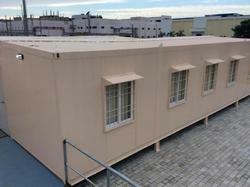 Backed by a team of creative professionals, we are highly engaged in offering a beautiful array of Office Containers. Renowned for its elegant design, easy maintenance and high gloss finish, this office is designed using the best quality material and hi-tech tools. 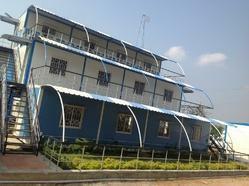 This flawlessly finished office is offered in diverse specifications to fulfill the exact needs of our valued clients. Clients can avail the offered range from us at market leading prices. 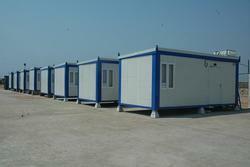 Looking for Office Container ?